Congratulations to New London, Strasburg, Loudonville, and New Washington school systems, the first schools participating in Mickey Mart's Fuels Schools Initiative! Use the pump with your School Colors and 5¢ from EVERY gallon of gas sold in 2019 from that pump will go to Scholarship Programs in each participating community! 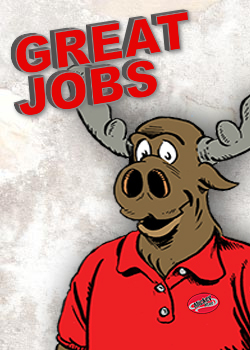 Visit mickeythemoose.com/mickey-mart-fuels-schools/ for more information. Thanks to Mickey Mart for such an awesome program!!! The pump for Strasburg is # 14. Stacey Swank can you see it here? Milan, Ohio, best known for the invention of Thomas Edison, plays host every year to the nation's premiere Melon Festival! As the hometown of Mickey Mart and the base of operation of the indomitable Mickey the Moose, participation in the 2018 … [Read More...] about The Mighty Moose Struts in Milan! Mickey Mart Loves Wellington! We're very excited to introduce our 3rd and northernmost Mickey Mart Wellington location! We are OPEN now! There's a lot of room to expand, so look for an entire array of awesome services to take care of many of your … [Read More...] about Welcome To the Family! Mickey Mart Opens New Store in Wellington! Mickey Mart will be sponsoring several "How to Create Your Own Comics" youth workshops at libraries around Northcentral Ohio in 2018. Follow us on Facebook and Twitter to catch announcements of dates and locations! We're excited about the release of … [Read More...] about It’s A Superhero Team-Up! Mickey and Local Libraries!